An hour's drive north of Edinburgh, sits the town of Perth, nestled in the hills of the Scottish countryside. 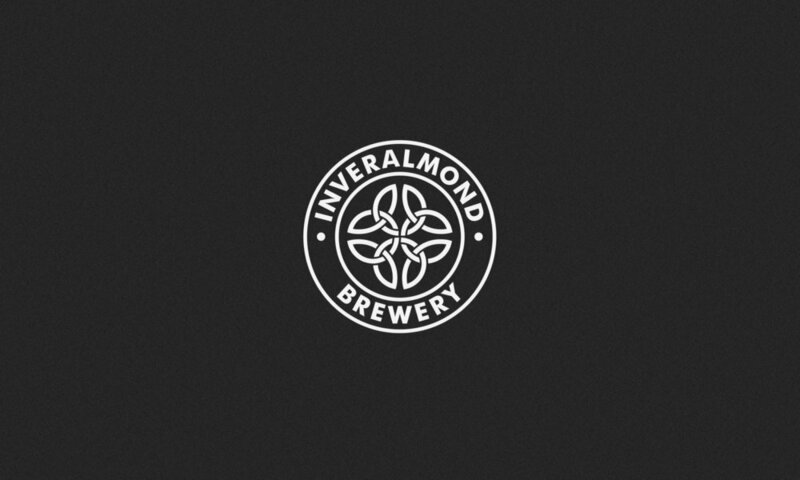 There, also resides one of Scotland's most successful craft beer makers, Inveralmond Brewery. And in April 2016, they were purchased by nearby Innis & Gunn. 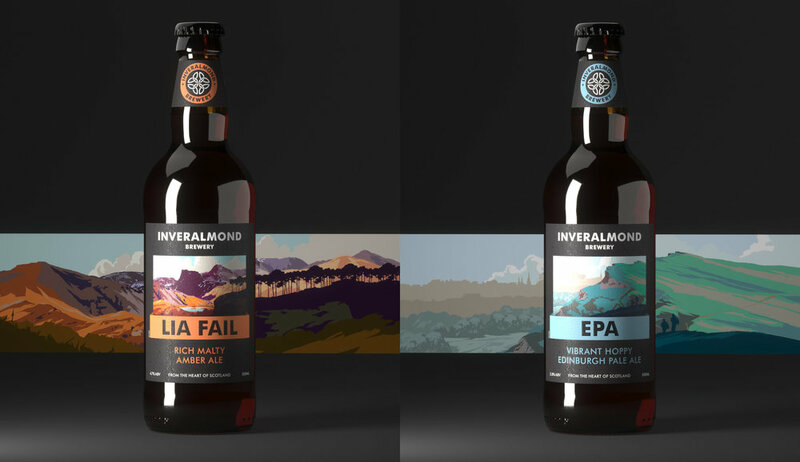 Rebranding Inveralmond Brewery–one of the "most successful and affectionately-regarded breweries in the north of Scotland"–was left to Glasgow-based design studio Freytag Anderson. The new look began its reveal in mid-2017, and appears to still be rolling out across its packaging. It's new labels feature a consistent identifying system, complete with Scottish landscape watercolor illustrations, courtesy of fellow Scotsman, Peter McDermott. 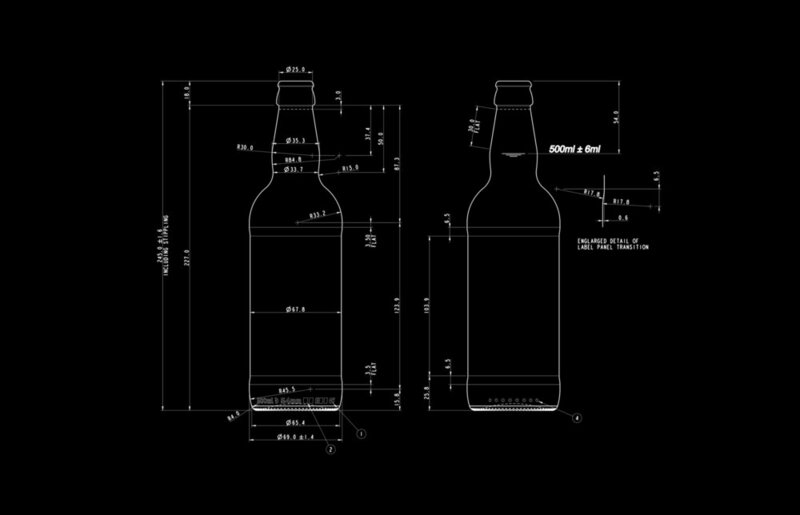 "The rebrand was intended to revitalize consumer perception and better represent the quality and origin of the brewery and products. 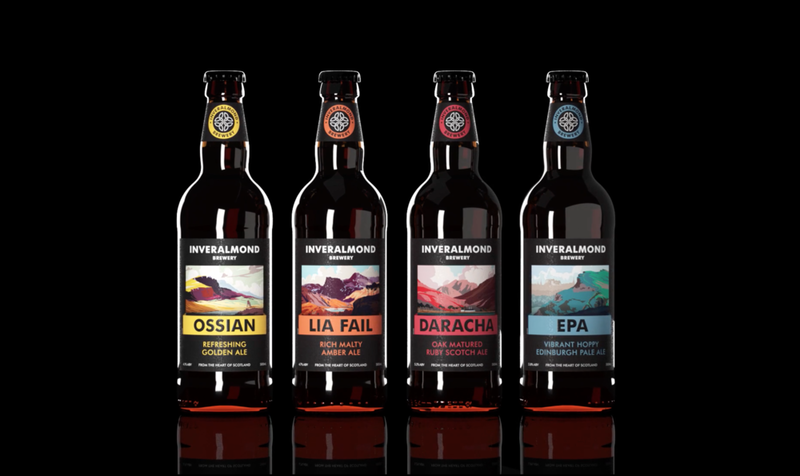 The Inveralmond team felt that unification was needed across the core range and their annually-changing product and wanted to take the opportunity of a rebrand to project the authenticity of the brewery and its values. The brand marque was recreated to respectfully update and modernize the logo without abandoning its origin, showing regard for the brewery's history and loyal followers. The modern romantic style of artist Peter McDermott, based in Skye, was selected. The aim was to tap into the image and nostalgia that Scotland globally provokes; that of landscape, beauty and rich history. He was commissioned to create bespoke illustrations for each of the core range, creating an immediately recognizable sense of place and old-world charm." Textural detail of label stock. Textural detail of Daracha label. Brand launch video, courtesy of Freytag Anderson. Barrel swatches, consistent with the bottle's label colors. Images from Freytag Anderson, freytaganderson.com.